Putnam County Playhouse: Beat the Drums! Here Comes "Thoroughly Modern Millie" Now! Beat the Drums! 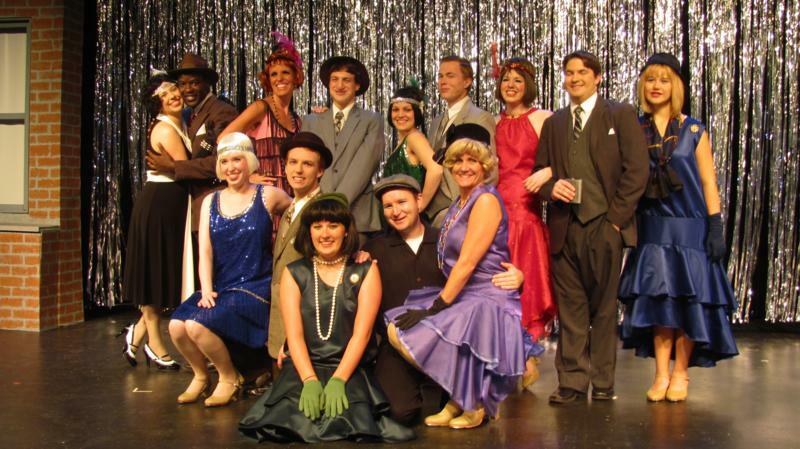 Here Comes "Thoroughly Modern Millie" Now! Kenneth Lee Buchanan, Meghan Armitage, Dustin Bond, Jalin Burnette. Front row: Sarah Bond, Joe Lippard, Katie Hedge, T.J. Tincher, Lori Briones. Thoroughly Modern Millie is now in performance at the Hazel Day Longden Theatre - August 9-11 and August 15-18. The Tony-Award winning musical is based on the 1967 movie that starred Julie Andrews. See what made the 20's roar! Call the box office Monday-Saturday for reservations. Box office hours are 5 p.m. to 7 p.m. All tickets are $10, and all performances are at 8 p.m.
Corporate sponsor for Thoroughly Modern Millie is First National Bank.